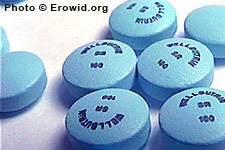 Bupropion is a prescription antidepressant which acts as a dopamine and norepinephrine reuptake inhibitor. It is used to treat attention deficit disorder, bipolar depression, chronic fatigue syndrome, nicotine addiction, cocaine addiction, and lower back pain. It causes seizures at high doses. Ask Erowid: Is Zyban an MAO Inhibitor?